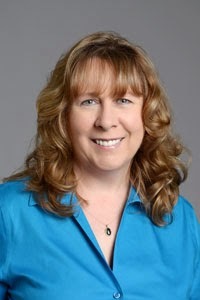 I am so pleased to welcome Patience Griffin back to the Romance Dish today. As many of you know, I fell head over heels for Patience's 2014 debut novel, To Scotland With Love, the book that ended up on both Janga's and my "Best of 2014" lists. 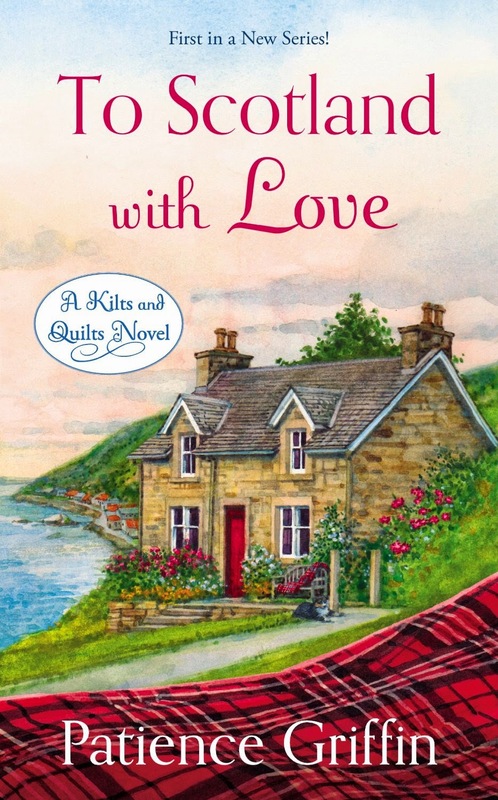 The second book in her Kilts and Quilts series, Meet Me in Scotland was released in January so I invited Patience back for a Q&A to catch us up with what's going on in her life and her writing. PJ: Welcome back, Patience! It’s been eight months since the last time you were here, shortly after the publication of your debut book, To Scotland with Love. As you know, TSWL was one of my favorite books of 2014 and showed up on many “Best of 2014” lists, including Janga’s list here at TRD. How has your life changed since that sunny day in June? I’ve become busier. I spend a lot of time connecting with readers now on Facebook…which I love! Yes, I’m a Facebook addict. I’ve also been busy meeting deadlines and learning the business of publishing. When To Scotland with Love came out, I had no clue what was going to happen, the timing of it all. And I wasn’t sure how the book was going to be received. Being read for the first time was both thrilling and a bit scary. When Meet Me in Scotland came out, I had a better idea of what to expect and I think I enjoyed it more, or maybe I was just less stressed. It’s been an incredible journey. PJ: Almost all of the Scotland set romances I read are historical yet you chose to set a contemporary series in a small seaside Scottish village. What is it about this country and her people that inspire you as a writer? I fell in love with Scotland through historical fiction, so I would have to say that what drew me in initially was the history of the country. But as I read more, I became inspired by all the pieces that make up the magic of Scotland. From the ruggedness of the Highlands to the culture of the cities. The croon of the bagpipes. The deliciousness of the scones. The clans. And of course, all that beautiful tartan. What’s not to love! 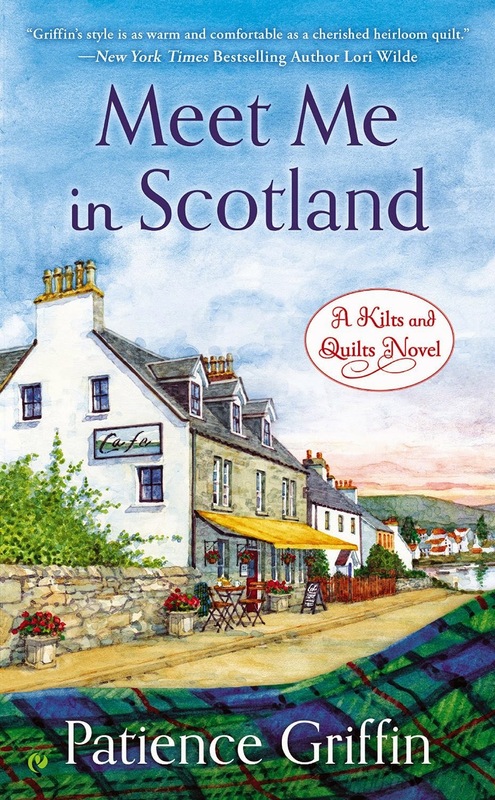 PJ: Meet Me in Scotland, the much anticipated second book in your Kilts and Quilts series was released last month. Please tell our readers what they can expect from this book. Meet Me in Scotland has brought four new people to Gandiegow and we get to see how each of them interact with a town that doesn’t welcome outsiders easily. We also see how these four people interact with each other, because they are all connected through their pasts. When I first came up with this book, I thought it was a book about taking sides. But as I began to write, I realized it was much more. It’s about the power of friendship and the rollercoaster ride that long friendships endure. But mostly, it’s a book about love and coming to a place in our life where we can find a way to love ourselves for who we are and make the choice to love others. PJ: I enjoy how you weave characters from your first book into this one, making them integral parts of the story without stealing the focus from the main characters of Meet Me in Scotland. Will you continue to weave characters from the first two books into future Gandiegow stories? Absolutely! I love the people of Gandiegow—the good, the bad, and the ornery (yes, I’m speaking of Deydie). I think the past characters will demand to be seen in future books and I’m happy to spend as much time with them as possible. I have at least six books planned for the Kilts and Quilts series. I’m also mulling over a future tie-in series, hoping my characters of Gandiegow will pop in and out of that series, too. I guess I’ve more than mulled it over. I’ve written a novella that bridges the two series called The Laird and I. It released January 22nd in an anthology with Grace Burrowes called Must Love Highlanders. The heroine in The Laird and I , Sophie, is a Gandiegowan who finds a surprising future for herself with the help of some of the characters from the Kilts and Quilts series. Janga: How did you get from nuclear engineering to romance fiction? Boy, that’s not an easy answer, but I’ll give it a shot. While commuting 3 ½ hours a day for my engineering job, I fell in love with audiobooks, specifically books with happily-ever-afters. Those books made my drive incredibly enjoyable. When I wasn’t driving, working, or taxiing the kids around, I was reading. One day I told my husband that thought I could write a book. His answer was, “Of course, you can.” That started my journey of seriously studying the craft. I had always been a writer--I wrote a lot of letters—and I knew one day I would write a book. However, I never dreamed I would write fiction. Fast forward ten years from that time, throw in a big move from Iowa to Texas, and a lot of pages written in between, and here I am today. Janga: Are you a plotter or a pantser? I confess I have wondered about that ever since I read To Scotland with Love because of all those wonderful thematic layers involving trust. The first book I ever wrote, I pansted it; I had no idea what was going to happen next, plus I wrote the book out of order. That method, though freeing, is very painful for me to complete. I am now a plotter. I get an idea and try to build a story from there, making sure to put in plenty of heart. PJ: Are you still able to find time to quilt? Are you working on any projects now? PJ: What are your hopes for 2015? One of my biggest hopes is to make more time to sew. I have a huge list of projects waiting for me in my Harry Potter closet (the cupboard under the stairs where I store my fabric). This year is super busy though. I’ll be signing books at the Dallas Quilt Show in March, then in Paducah, Kentucky in April for AQS QuiltFest (a premier of quilt show in the country). In May, I’ll be at the RT Convention in Dallas. Of course, I’ll be writing like crazy on books four, five, and six in the Kilts and Quilts series and loving every second of it. I’m really looking forward to the fall. I’m going on a quilt tour of Scotland for more research. It’s going to be a wonderful year! I have two more books out this year—Some Like it Scottish July 7th, and the Accidental Scot December 15th. Books #5 and #6 will be out 2016. Yay! This makes my reader's heart happy. Thank you so much for visiting with us, Patience. Would you like to ask our readers a question? Thank you so much for having me here today. Yes, I have a few questions for readers, but you don’t have to answer them all. Meet Me in Scotland is a book about friends. I have a list of women in my life that are sisters of my heart. Do you have a circle of friends or do you have one person that you call your ‘bestie’? If you needed to hide out from the chaos of life, who would you call, and where would you go? What’s your favorite kind of scone? Also, I’m looking for ways to squeeze more hours out of the day. What’s your number one tip for being more productive? One randomly chosen person who leaves a comment on today's post will receive a book from Patience. Winner's choice of To Scotland with Love or Meet Me in Scotland in either print or digital format. Open internationally. I loved To Scotland With Love. I've been waiting to read Meet Me In Scotland. Of all the things I wished I had learned to do Quilting is at the top of that list. :). Aside from my two sisters I also have two close friends I can call whenever for nything. And they know I'm there for them as well. I have never had a scone and that truly is going to change soon. With every historical read and Highlander story there is mention of scones and I'm tired of drooling. mil. I love raisins so maybe that will be the first. :). Thanks so much for this opportunity and I enjoyed the interview . About scones...definitely go for it! Congratulations to Patience on her new book! I have a couple of good friends but if I were to run away I think I would call my sister. I don't know that I have ever had a scone but maybe someday. My number one tip on being more productive is to make a list so I can organize and remember what needs to be done. I hope a lovely scone is in your future! Thanks for the reminder of making a list. Every once in a while, I'll make what I call a Master List. It may take months, but I'll chip slowly away at it. Maybe I should start a new Master List today. Patience I haven't read any of your books. I have a close circle of friends from HS. I am also close to my older sister and my daughter. Luckily I've been married to my best friend for almost 38 years. He knows me so well. I would only need him to resolve any issues. I like to take walks with him in the woods. If I need solitude I swim. I've never tried a scone. I do like blueberries and cranberries so I'd like to try a scone with either of those in them. I love my friends from high school, too. Facebook has been great to keep us better connected. You know what I should've done? I should've brought scones to the blog this morning. We all could've had some tea and scones and made a party of it. I have a pretty good cranberry scone recipe that I should write down and share one of these days. I have wonderful sisters. They are my best friends. I find that if I am organized I am much more productive. I like pumpkin scones or wholemeal scones with sultanas. Yum. Pumpkin scones. You're making me hungry! I might have to make a scone run this morning! When PhD and I were first married, he read an article that stated that statistically women who had other women friends, that their marriages were less likely to end in divorce. My friends have been very important in my life and it's been great how PhD has supported me in that. I never should've asked the question about scones...I love blueberry! I am the youngest of seven girls. We all live within 80 miles of each other and try to get together once a month. My sister Karolee makes the most wonderful orange cranberry scones. As for increasing productivity, I don't have anything for you. I am the mom of 3 very busy and active girls who are all involved in sports. I don't mind not having much "me" time right now because I know that it will only be a few short years until they are off to college owns starting families of their own. I do enjoy quilting and have taught both my 15 and 11 year olds how to quilt. I look forward to reading your books! Hi, Kolleen, I agree, how wonderful that you and your sisters live so close! My daughter and I very close (we both love to sew), but she lives twelve hours away. Good for you for teaching your girls how quilt. I worry that sewing is becoming a lost art. My grandmother made sure that my brothers knew how to use a sewing machine. They can hem their own pants and do. Lovely hearing from you today. My best friend is my husband, but I do have a wonderful circle of women friends. What a blessing my women friends are! If I wanted to escape from real life for a while I would go to a beach with a romance book! I am looking forward to reading your books. I enjoy reading historicals and contemporaries set in Scotland. I got to visit Scotland last year, and I fell in love with the country. My late husband was my best friend too, Cheryl. It's lovely to have that close relationship with the ones we love. I hope you'll give Patience's books a try. I highly recommend them! Scotland is a wonderful country...beautiful scenery, lovely people. I really love Scottish set novels, too. I read everything, but if there's a wee bit of plaid on the cover of book, I'm buying it. Yes, I'm that addicted. My new favorite scones are Tracy's Cheese Scones, the recipe posted by Anna Sugden on Monday. Made them last night and they were delicious! I also make lists to be more productive. I have a running list of little chores to do that would take a half hour or less, like clean out the linen closet. I also have a list of projects that would take a few hours or a day or two. For example, I just completed the project of sorting out my clothing closets. For work, each day I make a short list in my notebook of things to be done. Laura, now you've made me even more excited to make them! I'm a big fan of lists! LauraL, you made me laugh that your friends are good with shovels, if needed. I can make up a couple of funny stories about you and your friends! LOL Oh...another day. I'm going to have to look up Tracy's Cheese Scones! I love brown sugar-pecan scones, but I'm eager to try the recipe Anna Sugden shared here for cheese scones earlier this week. As a world-class procrastinator, I am not a reliable source on tips for improving productivity, but I will certainly note tips others share and perhaps put them into practice--tomorrow. Do you have a recipe for those brown sugar-pecan scones? I'd sure love to try them! 1. Preheat oven to 450°. Stir together first 4 ingredients in a large bowl. Cut butter into flour mixture with a pastry blender until crumbly and mixture resembles small peas. Freeze 5 minutes. Add 3/4 cup plus 2 Tbsp. cream and pecans, stirring just until dry ingredients are moistened. I'm so thrilled you and PJ loved To Scotland with Love. The support from both of you has been a wonderful thing! Thank you. I loved the words that used to describe your friends (dearest, sanctuary, rich, etc) and I know exactly what you're talking about when you describe your different circle of friends. We are lucky women indeed. I just copied Anna's scone recipe and can't wait to try it. About that brown sugar-pecan scone recipe? Oh, please, so share! Hi Patience! Thanks so much for visiting with us today! Hi, PJ, thank you so much for having me. I love hanging out and talking to readers. My computer had a meltdown at 10 a.m. this morning, giving me the blue screen of death. I didn't panic though. After bringing it back up in safe mode, I gave it a stern talking to while I saved off my writing files. We're back in business. I do think this laptop has seen it's better days. A scone sounds really good right now to calm my slight nerves. brown sugar pecan scones sound wonderful. P.J. I received my package of books yesterday. Thanks again. You're welcome! Hope you enjoy the books. I'm with you on those brown sugar pecan scones. They sound yummy! I'm thinking of going to Scotland in 2016 so I'm taking particular notice of books set there. These two look wonderful - will really get me in the mood! I love all of Scotland, but especially love the small coastal towns. I have thing for boats and water. Hi Patience, I find the covers of your books so refreshing and eye appealing! I've never tasted a scone, but would love too! Hi, Nicole, nice to see you here. If I may, I'd like to agree with you about my book covers. I love them! I think they are brilliant and charming. Deborah, the artist who does them, is amazing. I'm constantly collecting pictures to send along when I'm asked what I envision for the next cover. 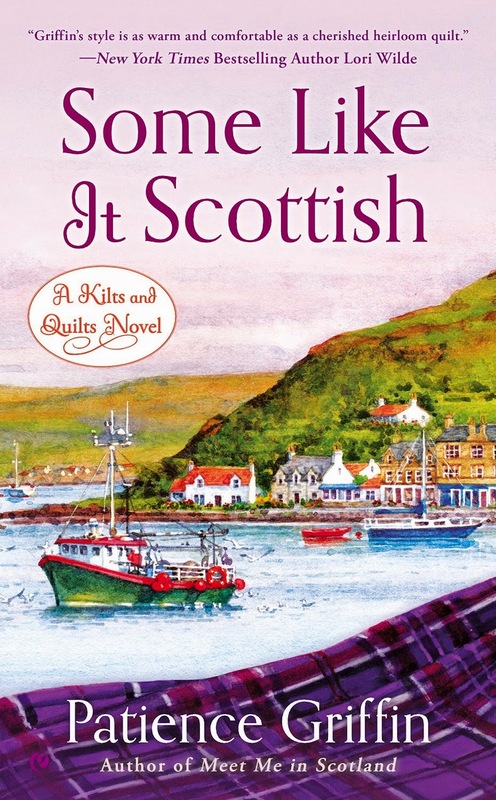 I can't tell you how thrilled I was when she put the boat on Some Like it Scottish, book #3 in the Kilts and Quilts series. I think that's my favorite one yet, but then I've said that every time a new one comes out. Hi, Amanda, I hope you enjoy them! Hi Patience--You are a new author for me. I sure like the sound of Meet Me in Scotland! And, like a couple of other commenters, I really like the book covers. Re a couple of your questions...My sister is my best friend. Any type of scone would be pretty good now. How about chocolate chip? or raspberry? Mmmm. Yum, chocolate chip scones. I forgot all about those. I'm currently reading Meet Me in Scotland for a second time and thoroughly enjoying it. Waving at Mary Preston. You'll love this one. Hhmm. How to squeeze an extra hour in the day: Wake up an hour earlier and go to bed and hour earlier. That magically gives me more umph and adds a virtual hour. Unfortunately, I'm not too good at the going to bed an hour earlier. Sigh. Thanks for stopping by. Yeah, I have problems going to bed early. There's always that one more thing to do. I have one good friend that I grew up with and after 50+ years of friendship, we still call each other and get together whenever we can even though we don't live in the same town. A 50+ friendship is wonderful. Making time for friends is important and not easy to do some times. I'm so happy you catch up with your friend as often as you can. I'm having lunch with old lunch friends tomorrow to do some of that catching up, too. Scottish reads are my favorite. I have one best friend of 20+ years. We met through our daughters when they started girl scouts and have been best friends ever since. I also have different groups of friends - my bowling group of women, my card club women friends and a group of friends from our American Legion. Friends are invaluable!!! I'd probably enjoy any kind of scone lol. You reminded me...One of my Sisters of the Heart did Girl Scouts with me all the through high school. We are still very close today though we live many states away. When something big is going on in my life, she's one of the first people I call. Although my husband and sister are my best friends, I have girl friends I've known for over twenty years. I treasure their friendship and can't imagine not having them in my life. I love scones of all kinds, but I especially love cranberry orange scones. Yum! By the way, I love the covers of your books as well. Pam, I adore orange cranberry scones, too. I meant to make some during Christmas but the holidays got away from me. I guess there's no time like the present, right? I've read To Scotland With Love. I loved it. I would love to read Meet Me in Scotland in print version. Hi, Bonnie, I'm so happy you loved To Scotland with Love! It was a labor of love. I'm having so much fun with this series. It's like I'm in Scotland every day, hanging out with the quilters of Gandiegow. I would love to have either book, love books set in Scotland and I have always wanted to go there but I only get there in books. I fell in love with Scotland through books, too. I think books are a lovely way to travel, don't you? Your Scotland novels are a delight. I enjoy scones especially blueberry and cranberry. Thanks, Traveler! I'm so glad you enjoyed my novels. I'm having a cup of tea right now and an after dinner blueberry scone sounds perfect. Hi, Patience, congrats on the book! Anything Scottish is fun to read. My two sisters are my best friends, and I have another woman friend I can tell anything. My husband, though, is my very best friend and supporter. I love orange-cranberry or orange-cherry scones. If I can't find that kind of mix, I just throw in the dried cranberries or cherries and orange concentrate. More hours in the day? Ha, that is a good question. Hi, Deb, I've never had an orange-cherry scone, but I'll up for trying one. I never thought about using dried cranberries before. Thanks for the idea! Mmmm...orange-cherry. I like the sound of that, Deb! My favorite scone is one piping hot fresh from the oven! I do love cranberry orange and blueberry ones. I love scones. Our favorite are cranberry-orange scones with cheese scones as a non-sweet favorite. Wonderful with a cup of tea for breakfast or for a snack in the afternoon. As for being more productive, if you find out how, please let me know. I guess my main advice would be to not let yourself get too far behind. That happened to me in November. I am swamped to the point I can no longer catch up. As a result, I am getting further behind. After 3 months, I finally have 4 days this week where I have no commitments. I dug myself out of two major projects today. There is hope I may catch up if I can hide form everyone the rest of the week. Other than that, keep your papers and projects well organized and easy to get to. You can waste lots of time trying to find something. Part of my digging out this week is organizing and filing things so I can find them easily. This year I will be going to Dallas for the RT Convention, first and probably only time. I hope to meet you there. I hope MEET ME IN SCOTLAND is doing well and the release of SOME LIKE IT SCOTTISH is a big success. Thank you for the reminder to not let myself get too far behind. It's tax season and that always takes a lot of pulling everything together and getting it entered. Yes, organization is the answer. I think I'll plug away at it a little at a time. I hope you get all caught up. Thank you for the well wishes. I look forward to seeing you in Dallas! So, Denise, do you buy your chocolate chip scones or make them from scrath? I've never made chocolate chip ones, but I've had one from Panera, I think. Delicious! I'm so glad you enjoyed To Scotland with Love. I hope you like Meet Me in Scotland as well. Take care! New author to me and these books sounds very,very good,can't wait to start with reading! Besties are very important because sometimes life throws us a few curve balls. It's nice to call on friends to talk us through those times. And to also share the wonderful things in life, too! I was the only girl in a family of four boys.. So my "sisters of my heart" have been my life line. I have a great circle of friends that I have been friends with for over 30yrs and we are all different ages, because to us age is just a number. I had lunch with some of them yesterday and it always make me feel great to see them. I also have a very good friend that I worked with, even though we live in different cities now, we always get together when we can and have a girls weekend. I can call her up and we might jet off to Las Vegas for a fun time. As for Scones.. My grandmother could make them so light and fluffy and just melting with clotted cream.. But the bet ones I had were in Ireland..
As to how to plan my day and be more productive.. I would have to hit the floor running and keep away from my computer until I had my days planned and done. Hi, Kathleen, you're right about the computer. For me specifically, it's the internet. Earlier this week, my router went out and I had no internet. I was able to get my pages for the day done quicker. I'm going to start shutting off my router in the morning until my writing is done. My bestie is the younger sister we never had. It's great having those life friends, the ones who stick around no matter what. Congrats on the new release and upcoming books! They all look great!